On many of the public hunting areas that I've hunted in Florida, the turkeys will stay in the swamp all day long. So, if you're going to bag a bird, you'll have to go in the swamp to get them. The secret to hunting swamp turkeys is to find a dry piece of ground out in the swamp and look for the strut zones. Like other species of wild turkeys, Osceola gobblers strut and drum to attract hens. If a gobbler is staying in the swamp all day long, he's found some clear, dry places out of the water where he can strut. If you're going to take a turkey in the swamp, your best chance is to locate those strut zones and plan to hunt them. 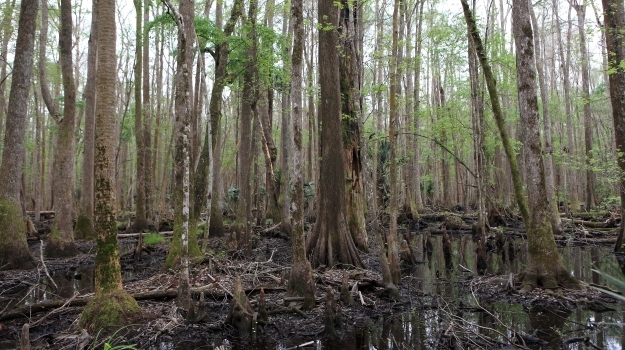 During dry years, when most of the swamp will dry-up, the landowners may burn a portion of the swamp or lightning strikes may set the swamps on fire. When you can find a burn in a swamp - that will be a great place to hunt a turkey. I took my first turkey in south Florida on a special opportunity hunt. If you go on the Florida Fish and Wildlife Conservation Commission page, you can apply for one of those special opportunity hunts for $5 at http://myfwc.com/license/limited-entry-hunts/general-info/special-opportunity. If you draw one of those special opportunity hunts, you may have to pay $50 to $100 to get to hunt a gigantic property. The department gives you certain days and a specific part of the WMA that you can hunt. I drew one of those permits. So, I went into the place where I was planning to hunt and identified a burned area down in the swamp. On the first morning of the hunt, I went to a stand site that I had picked, created a little blind and waited on daylight. Just as the morning was brightening up, I heard a turkey gobble close to where I had set up. I didn’t call to him on the roost. I just waited for him to fly down. When that bird hit the ground, he was within gun range, and I introduced him to lead. That hunt happened back in the late 1990s or the early 2000s. So if you think like a turkey, you usually can find gobblers, even on public lands in Florida. 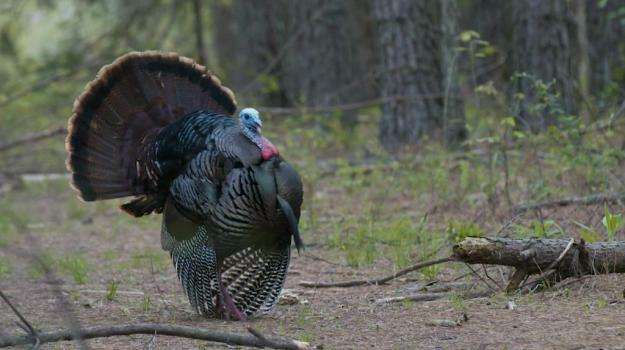 Remember that gobbler is a show-off in the spring. He'll go to some type of open ground where the hens can see him. Find that open ground in the swamp, and more than likely you'll locate your gobbler. If I had a 3-day Osceola turkey hunt, I’d plan to spend 2 days scouting and hunt the third day. When the Osceola pitches off the limb, he knows where he's flying to, and if you’re not where he wants to land, more than likely, you won’t take that bird. Why are the gobblers always on your neighbor’s property and not yours? The answer to that could be a number of reasons. You must look at what a turkey needs and on the other hand, things a turkey doesn’t like, the solution may be easier than you think. Just like all wild critters, they need food, water, cover and space. What don’t they like? Pressure! 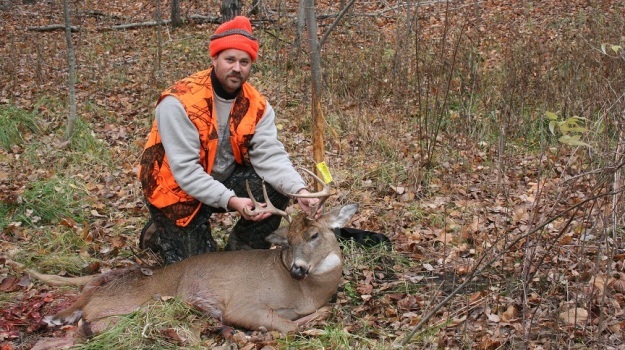 Fifty-year-old Kevin Hutchings, from Howell, Michigan, which is located close to Ann Arbor, has been hunting deer as long as he can remember. He was one of the original Mossy Oak Pro Staffers. Introducing our all new digital series "The Obsessed". 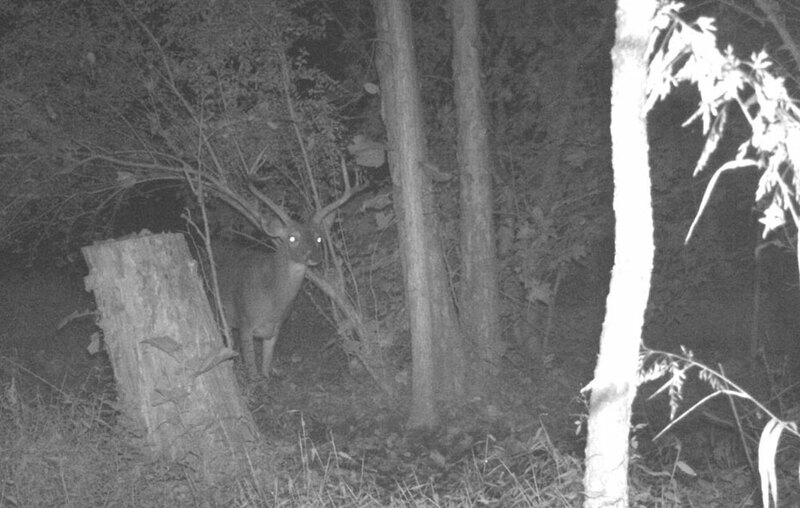 We will be following the obsessed of Mossy Oak with new episodes throughout the season. This episode takes us to South Florida on the opening day of turkey season 2017.